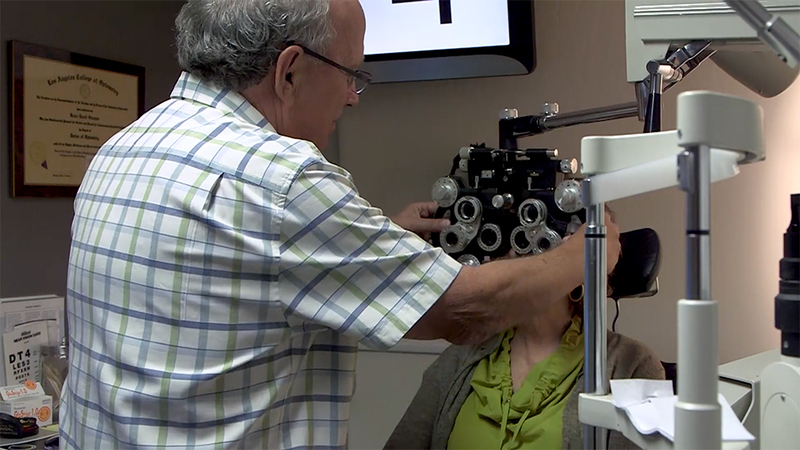 Dr. Bruce Stamper of Stamper Optometry took over the family practice from his father, Julian Lawrence Stamper, in 1970. Photo by Mallory Newman. A Family Legacy in the Mission from Mission Local on Vimeo. PreviousAlexandria Ocasio-Cortez’s appearance wows SF’s Mission. Her speech not so much. You forgot to mention the fabulous window displays the Stamper Family puts together. I so admire the creativity and whimsy reflected in the shop windows showcasing the eye glasses. They often feature seasonal themes for Valentine’s Day, etc. They never repeat the same display. I often wonder whether they hire art students to do them or if someone on staff is super creative!! Thank you. Beautiful report about a talented and dedicated family. I’ve been a Stamper client for the past 44 years. Very happy to see this profile on the Stamper’s. I’ve been a patient for 20 years and counting. Great place. Everyone loves them and rightly so. We are so lucky to have such a long-time family business in our neighborhood! Hurrah!